Ever since Satoshi Nakamoto launched Bitcoin in 2009, cryptocurrency has been steadily gaining traction. In many countries today, Bitcoin is even a household name and its underlying technology is being used in some mainstream industries. Since 2009, there have been a number of brilliant minds to come forward; introducing new digital currencies, technologies and ideas based on the concepts of blockchain and cryptography. We have decided to make a complete index of all the most influential people – including creators, developers and innovators – within the cryptocurrency and blockchain technology space. Check out our list below to learn more about the people behind today’s most popular digital currencies and blockchain platforms. Most all cryptocurrencies are built on two basic foundations; blockchain and cryptography. In order to develop a new digital currency, the creator must have an advanced knowledge of coding while also being able to incorporate that with blockchain technology, cryptography and software. 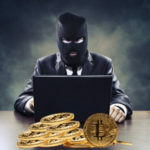 While Satoshi Nakamoto was a true pioneer and blazed a trail in the industry that is cryptocurrency, many others used the concept of Bitcoin to create their own digital currency. A great example of this happened with Litecoin, where Charlie Lee set out to create a digital currency that he has often said “is the silver to Bitcoin’s gold.” In this case, Litecoin’s technology closely resembled that of Bitcoin, while it still had some important differences. In another sense, many cryptocurrencies and altcoins are also very different from Bitcoin. The perfect example of this would be Ethereum and Ark. Ethereum is less of a digital currency and more of a platform for building decentralized applications by using smart contracts, while Ark is a complete ecosystem with SmartBridge technology that enables cross-chain transactions. Additional coins can even be built on the Ethereum blockchain, in the form of ERC20 tokens. Altcoins with different types of blockchain technology than Bitcoin, such as ETH and ARK, are completely unique – but, at the same time they likely would not be possible without the success of Bitcoin and its ever-growing userbase. The success of Bitcoin has helped to bring the idea of decentralized digital money out of the shadows and into the mainstream. Launching a new digital currency is one thing, but maintaining the network and continually improving it is another animal. Many of today’s most successful projects have a large community of developers, miners, investors and enthusiasts who make contributions by suggesting ideas that will make the currency better. Open-source projects ensure that a cryptocurrency or blockchain platform can stay relevant with time, since a community of dedicated people are constantly pushing forward suggestions and ideas for improving the currency and its platform for everyone. Though a single individual may be responsible for creating and launching an open-source cryptocurrency project, oftentimes the community behind the project is responsible for its long-term success and sustainability. The concept of open-source projects has always been a big part of the crypto world and it remains popular among new digital currencies today.